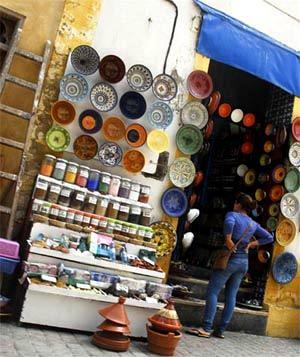 Bargaining is a fundamental part of Moroccan life and culture. Remember that bargaining in the souks is expected. Bargaining or haggling is a type of negotiation in which the buyer and seller of a good or service dispute the price which will be paid and the exact nature of the transaction that will take place, and eventually come to an agreement. Bargaining is an alternative pricing strategy to fixed prices. The personality theory in bargaining emphasizes that the type of personalities determine the bargaining process and its outcome. Retailers can choose to sell at posted prices or allow bargaining: selling at a public posted price commits the retailer not to exploit buyers once they enter the retail store, making the store more attractive to potential customers, while a bargaining strategy has the advantage that it allows the retailer to price discriminate between different types of customer. E.G. Moroccan or Tourist - prices.